Disneyland Resort announced Sunday that thousands more of its cast members will receive $15 minimum rates, one of the highest minimum wages in the country — three years before California’s scheduled increase. Delivering on the largest wage increases for cast members in its history, the Disneyland Resort is also paying increased minimum rates to thousands of hourly non-union cast members. On Sunday night, an additional 2,700 Disneyland Resort hotel cast members from Unite Here! Local 11 ratified a five-year term with a minimum wage increase of 40 percent over the next two years of the agreement, with the $15 minimum wage taking effect January 2019. Housekeepers move to $15.80 immediately. Unite Here! Local 11 cast members will join 9,700 other cast members from Master Services Council who separately ratified an agreement in July that establishes a $15 minimum wage for those cast members by January 2019 as well. Separately, the resort is undertaking two other major initiatives that will provide employees comprehensive and affordable healthcare options and free employee skills training and education. Starting next month, Disneyland Resort will roll out employee healthcare coverage that offers affordable options for many cast members, their families, and eligible dependents. One plan could have an employee contribution for as little as $6 per week for single participants. In August, the company introduced Disney Aspire, an extensive education investment program which is providing cast members the resources to learn, grow and achieve within or outside of the company. The program allows hourly Disneyland Resort cast members to pursue a bevy of educational pursuits, from vocational or language studies to bachelor and master’s degree programs. Announced at the beginning of this year by The Walt Disney Company CEO Robert Iger, Disney Aspire represents an initial investment of $150 million over the next five years. 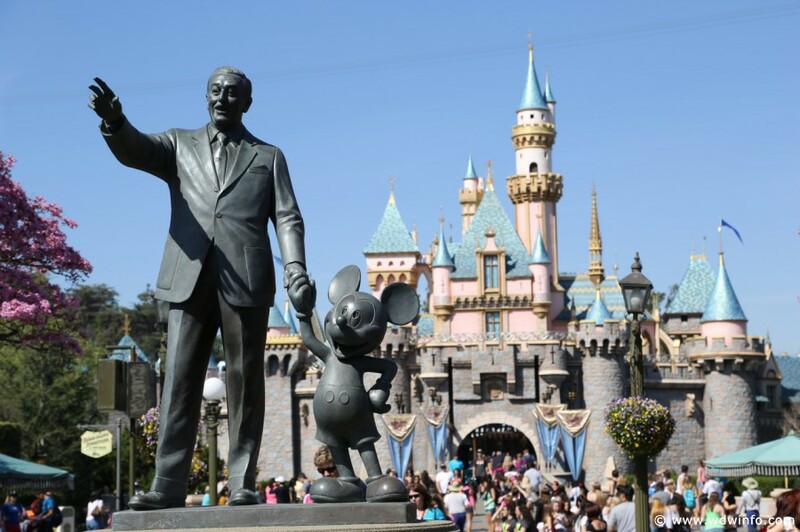 Cast interest in Disney Aspire has exceeded company expectations. Cast members often join Disney because of their love for our brand, and stay with us because of the opportunities and overall employment experience they are exposed to throughout their careers. In fact, over the past five years, 89 percent of the open entry-level leadership roles have been filled by frontline, hourly cast members providing career options and a strong and bright future.